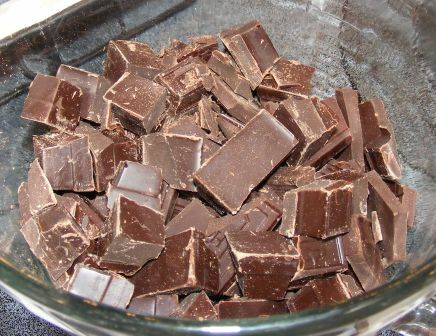 A few weeks ago, I wrote about making this wonderful light and airy Cocoa Génoise. Today’s Modern Baker Challenge post is about what I made with the génoise layer. As the name implies, this cake is chocolate on chocolate covered with chocolate. 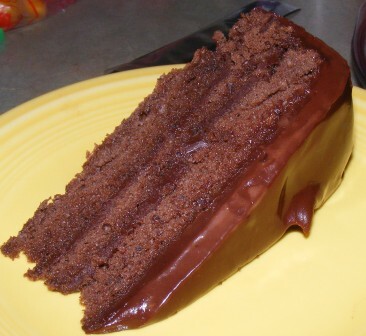 In addition to the chocolate cake, there are two versions of chocolate ganache — one used to frost the cake and the other a glaze that goes over the whole thing. 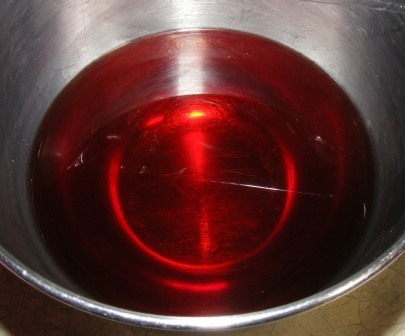 With my génoise at the ready, I began by making a moistening syrup, which consisted of water, sugar, and raspberry liqueur. I set the syrup aside to cool while I made the ganaches. 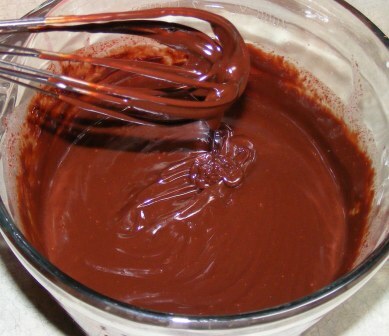 First, the ganache for filling and spreading. While I heated cream and corn syrup on the stove, I melted bittersweet chocolate in a bowl. 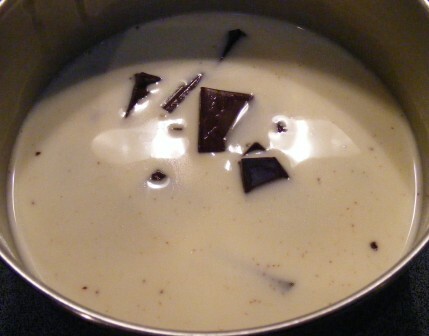 I poured the cream mixture over the chocolate, mixed well, then whisked in softened butter. 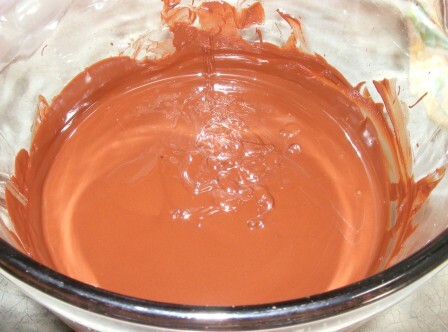 Next, I made the ganache glaze, which was also made with cream, corn syrup, and chocolate, although not as much chocolate as the filling. And there was no butter in the glaze. And rather than melting the chocolate, I poured the cream mixture over the chocolate and let the heat from the cream melt the chocolate. 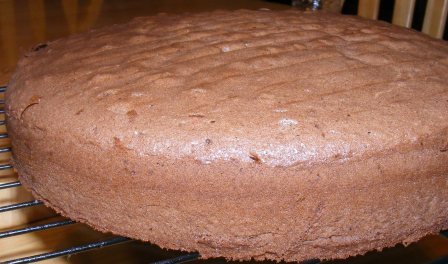 To assemble the cake, I cut the génoise into three layers. I put the bottom layer on a tart pan bottom and brushed it with 1/3 of the moistening syrup. I topped this with about 1/3 of the ganache filling and spread it to the edge of the cake. 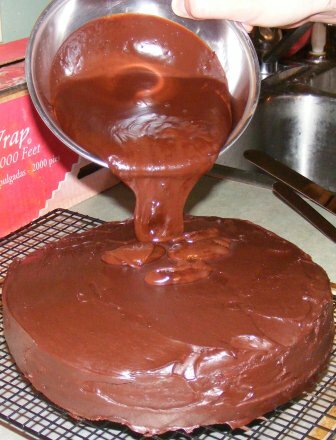 I repeated the layers two more times, then spread ganache frosting over the entire cake. 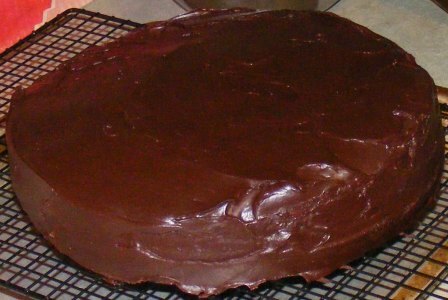 I refrigerated the cake for a while, then poured the ganache glaze over the top and smoothed it over the sides. I made this cake before my parents came for a visit so they could enjoy it with us. This cake was amazing! It may be the best chocolate cake I’ve ever had. And my parents, with over 140 years of cake-eating experience between them, agreed that this was by far the best chocolate frosting they’ve ever tasted. 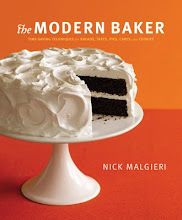 As Nick points out in the notes, this is a cake for a milestone birthday or other very special occasion. It has enough flavor and visual appeal to match up to any celebration. And even though it’s a bit of work to put together, the accolades you’ll receive make it well worth the effort.